Twice a year we organize conferences, focusing on prayer, healing, supernatural restoration, fresh fire, to leadership conference. 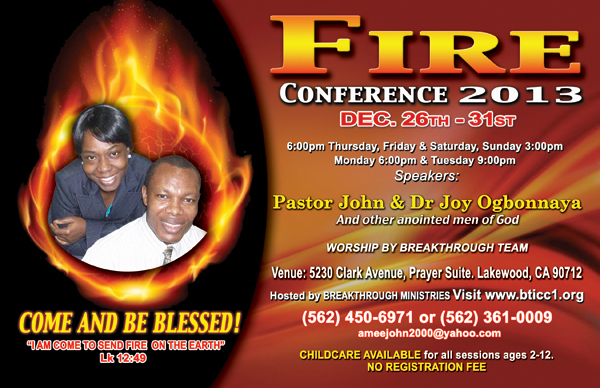 Our first conference is usually every 2nd week of July while the second conference is the last week of December. Mark your calendar and plan ahead of time, for truly our conferences are usually seasons of great awakening and refreshing as healing, deliverance, miracles, signs and wonders are common place in our gatherings.